But even with solar power’s growing affordability, very few customers ever pay full price for a new PV system. This is particularly true in California – one of the most active solar markets in the world. Like the rest of the country, our state benefits from the Federal Solar Investment Tax Credit – a generous incentive that allows you to automatically reduce the cost of your solar installation by 30% (parts and labor included). California also has a net energy metering (NEM) program, which allows homeowners and businesses to feed their excess solar electricity into the grid in exchange for utility credits. 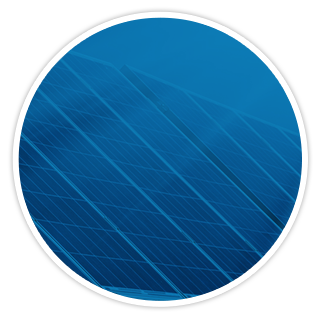 Managed by PG&E, this program helps speed up the payback period of your solar investment. But if you live in the Bay Area, you also qualify for various rebates that provide “cashback” incentives if you install PV panels. Below are some of the most popular solar rebates for Bay Area residents. San Francisco’s solar rebate is arguably the most popular incentive. Under this program, the city is prepared to pay you anywhere from $300 to $650 per kilowatt (kW) of solar power installed. The minimum qualifying size is 1kW, but this is usually not a problem for most homeowners, since the average size for a residential PV system is about 4kW. However, there is no maximum threshold. So if you installed a 5kW solar installation, for example, you’d qualify for up to $3,250 in cashback rewards. But what if you don’t live in San Francisco? Is it still possible to make going solar more affordable than it already is? 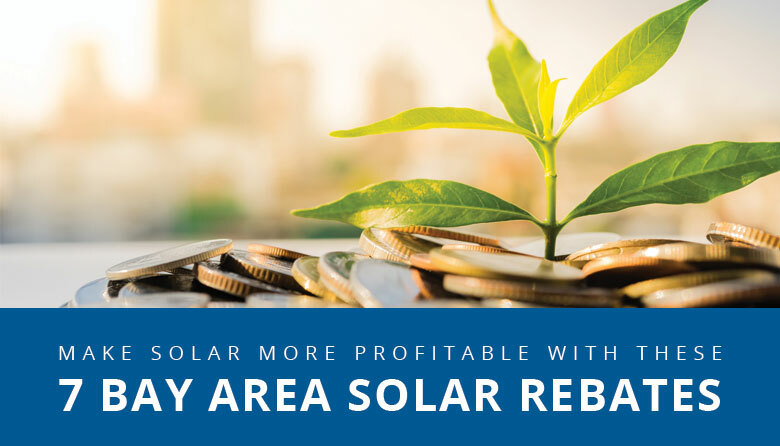 In addition to the rebate outlined above, there exist a host of local solar incentives scattered throughout the Bay Area. Local utility, Silicon Valley Clean Energy, has a NEM program sharing many similarities with PG&E’s statewide net energy metering incentive. In both cases, solar customers are allowed to feed unused electricity back into the grid, and any unused credits rollover to the next month. But whereas PG&E pays wholesale rates for this solar power, Silicon Valley Clean Energy pays full retail rates for any electricity you feed back to them. Moreover, if your annual credits exceed $100, the local utility will compensate you with cash every April – with a maximum payout of $5,000. In effect, Silicon Valley Clean Energy’s NEM program allows you to monetize the sunshine hitting your roof every day. Not only are you saving money, you’re actually generating money as well. San Mateo’s local utility provider, Peninsula Clean Energy, also has an NEM program for area residents. And it actually pays 1 penny above retail rates, so you’re technically a “mini” utility company in your own right when you enroll in this lucrative solar incentive. Unused credits rollover every month, and if your accumulated credits exceed $100 for the year, you qualify for cashback rewards. Homeowners throughout Marin, Napa and Contra Costa qualify for My Clean Energy’s NEM program if they commission a residential solar PV system with Bright Planet. Any unused electricity goes back into the grid in exchange for credits (paid $0.01 above the standard retail rate). And as with most net energy metering programs, those credits rollover every billing cycle with a monthly cap of $5,000. If your NEM credits exceed $100 for the year, My Clean Energy will compensate you in cash every April. If you live in Alameda County and rely on East Bay Clean Energy for grid power, you can enroll in the utility’s NEM program. Any excess solar electricity from your PV system goes back into the grid, is billed at the full retail rate, and unused credits then rollover to the next billing cycle. If you finish the year with enough utility credits, East Bay Clean Energy will pay you up to $2,500 in cash. Retail rates are set annually and locked in for the year. At the time of this writing, Monterey Bay Community Power pays $0.06135 per kWh, which is double what PG&E offers. Solar customers in Monterey and San Benito also qualify for a 3% credit for their power generation every year – even if they end the billing cycle with a negative balance. This means you can consume more power than you generate and still receive utility credits from Monterey Bay Community Power. All solar customers qualify for a $50 cash-back rebate from PG&E if they install the Nest Learning Thermostat with their PV panels. The self-regulating thermostat maximizes the energy savings from your solar installation. So the payback period of your investment becomes much shorter. It also makes it easier to generate rollover credits – allowing you to qualify for the annual payouts that most of the above NEM programs offer. Because Bright Planet Consulting is a NestPro-certified installer, you automatically qualify for PG&E’s $50 rebate when we install the Nest Learning Thermostat along with your solar panels. With Falling Prices, Isn’t It Better to Delay Installing PV Panels? Because solar power is becoming cheaper by the day, many homeowners are tempted to put off their investments. After all, why pay for a PV system today when it’ll be cheaper tomorrow? At first glance, this basic logic makes a lot of sense. Waiting means receiving a cheaper system. But there are 2 important things to keep in mind. 1. Solar Incentives Are Temporary by Design. Rebates and subsidies exist to help push emerging technologies into the mainstream. Early adopters receive the highest payouts, while latecomers receive much smaller rewards (assuming they still exist at all). California once had a very generous solar rebate program that has since expired. The state has also made several major changes to its net energy metering program, with decreasing payouts at every stage. Those who joined the program early were grandfathered into the highest rates. And those who joined later locked in much lower payouts. So by delaying your solar investment, you increase the chances of paying full price for a system that could’ve been heavily subsidized. The longer you wait, the more grid electricity you’ll have to buy in the meantime. Those extra costs can really add up – especially since utility rates keep increasing over time. If and when you finally do decide to go solar, your panels may indeed be cheaper (due to price drops), but you also have to add in all those extra monthly utility payments you made in the interim. Only then can you calculate the true cost of your solar installation. Want the Most Solar Power (at the Lowest Possible Price)? At Bright Planet, we specialize in premium PV installations that deliver the most solar energy output per square inch. This ensures you receive the highest possible savings from your clean power investment. However, we further boost those savings by helping you apply for all relevant federal, state and local solar incentives. By qualifying for generous subsidies like solar rebates or net energy metering, you’re guaranteed to pay the lowest possible price. If you’d like to learn more about going solar with Bright Planet, book a free consultation with us today. To compare solar financing options and see how much you can save, use our solar calculator below. Are Solar Panels Worth the Investment in California? See How Much You Can Save With Solar! Paul was the main sales contact for the SunRun solar power system. From the beginning, he was polite, helpful and diligent in answering my questions on the solar power concept. We serve the greater Bay Area in California including: Campbell, Concord, Cupertino, Pleasanton, Fremont, Livermore, Dublin, Hayward, Newark, San Jose, Salinas, Saratoga, Gilroy, Hollister, Stockton, and more.